Luke Macfarlane was born today, January 19, in 1980. He is a Canadian actor and musician. His best known roles include Scotty Wandell on the television drama Brothers & Sisters and RAC Agent D'avin Jaqobis on the Space television science fiction series Killjoys. 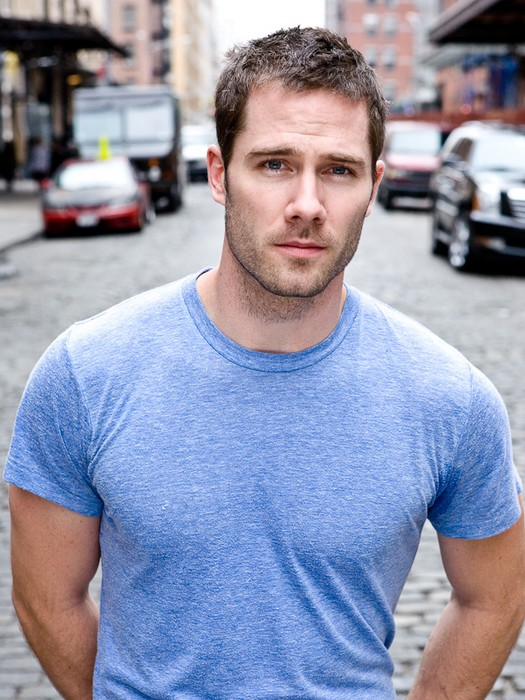 "Thomas Luke Macfarlane" was born and raised in London, Ontario. He studied drama at Juilliard in New York City. Macfarlane had early supporting roles including PV2 Frank "Dim" Dumphy on the 2005 FX series Over There, he played opposite Cynthia Nixon in Robert Altman's miniseries Tanner on Tanner on the Sundance Channel and was the leading role in the two-part miniseries titled Iron Road. Macfarlane first notable role was on Brothers & Sisters, as husband to Kevin Walker (played by Matthew Rhys), one of the "brothers" of the show. Macfarlane's other notable television roles include Jason Howell in the Canadian sitcom Satisfaction, Rick Lincoln on NBC's The Night Shift, and Chaplain Hopkins on PBS's Mercy Street. Macfarlane was one of the four leads in Juvenilia at the Playwrights Horizons Theater from November 14–December 21, 2003. He played the lead role in the American premiere of the play Where Do We Live, staged at the Vineyard Theatre in May 2004. The production was cited by the 2005 GLAAD Media Awards for Outstanding New York Theatre: Broadway and Off-Broadway. He also appeared with Jill Clayburgh and Hamish Linklater in the off-Broadway production of The Busy World is Hushed, again at Playwrights Horizons, in Summer 2006. He reprised his role of Thomas for the L.A. Premiere at the Skirball Cultural Center from February 7–11 of 2007. Macfarlane was the lead singer and a songwriter for the band Fellow Nameless, which began in his 8th grade along with some of his classmates at Lester B. Pearson School for the Arts under the name of Slipnaught. Fellow Nameless has produced one underground album, which was a half-studio, half-live CD album, and they recorded an additional 10 songs that never got put out including three songs that were recorded for a development deal with Maverick Records. Macfarlane came out as gay during an interview with The Globe and Mail on April 15, 2008. 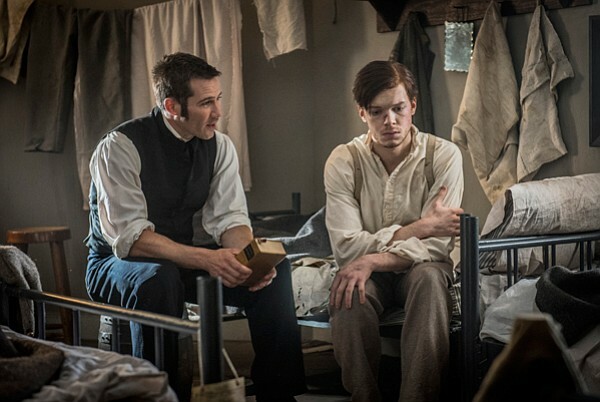 Chaplain Hopkins (Luke MacFarlane) and Tom Fairfax (Cameron Monaghan) from Mercy Street.